I’ve been filming weddings for a long time. I’ve learned a lot over the years, but am fully aware that there’s always something to learn from others in the field. I want to continually get better so that I can consistently make the once in a lifetime, wedding day for my couples one that they’ll always remember. 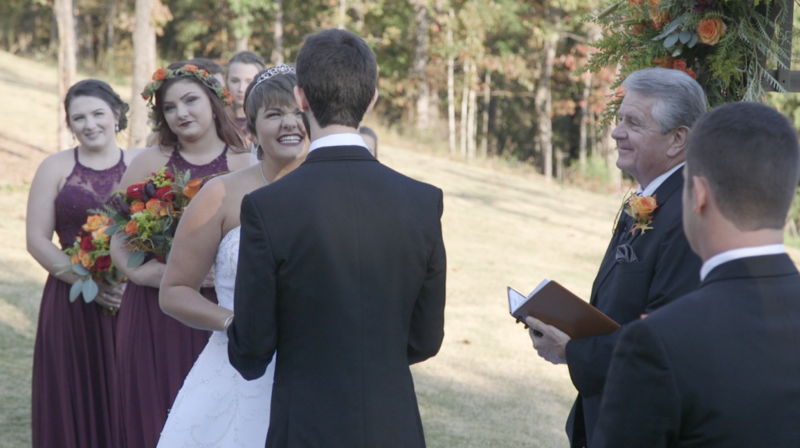 I always look up to others who do incredible work, and in this case, the great folks over at Arrow Films wrote a fantastic blog about why you should hire a videographer to film your wedding. Even though I didn’t write the content in this post, I still think it is so good that I am linking to it here so that all my current brides and prospective brides get a chance to see it. Their work is incredible so I hope you check them out (also, they are based out of Edmonton, Canada so they’re not really in the same market as we are)! This is something that I wish that I wrote and it’s something I think you should see. I agree with this 100%. “At Arrow, we’ve got big love for films. Over the years, we’ve noticed that while almost everyone who gets married chooses to have photography, it’s far less common to dish out the money for a wedding video. And we get that. We really do. But we feel incredibly passionate about what wedding videography offers and think that it’s something that you should absolutely consider. Spending much time considering all the factors, we’ve put together a list of the reasons why it pays to have a video made. If you’re considering it but still aren’t quite sure, this list is for you. People are hardwired to love watching short, touching, exciting videos. It’s science. It’s simple to share your video via your favorite social media platform, by email, on your laptop – anywhere. No photo albums or files to carry around! No two ways about it, music enhances all. As Vonnegut said, “Music makes practically everybody fonder of life than he or she would be without it”. When we make a video, we obsessively find the perfect music to go along with it, matching the mood, laughs, and sentimental moments of your day with the most suitable tunes. It completely enhances the feel of the video. Trust us. Photography is great. It’s necessary. But beyond the scope of what photography can achieve is the capturing of the little moments in between the big ones. The mannerisms, the subtle looks, the way you moved. The moments in between are our favorite ones to capture. We really can’t imagine anything better than being able to show your family and friends your video years and years down the road. You’ll probably even gain some respect (rather than eye rolls) from your grandkids when they see it. The feedback we hear the most from couples who get videos is that it helped them remember their wedding day, which, as it was happening, was a bit of a blur. Not only do you get to revisit your favorite moments, you also get to see perspectives that you missed during the day – your partner getting ready, your family and friends hanging out, and your vows and reception from a different angle. No two couples are the same – and no two videos should be the same. We get to know you, get a sense of your style, and spend the day observing who you are and what’s important to you. The result is that your video really captures the essence of you as a couple. When we make a video, our goal is to have you laughing AND crying. When we’re editing, we know we’re on the right track when we get teary-eyed ourselves. 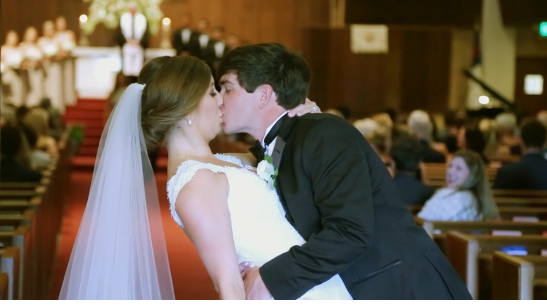 Often, you’ll see a wedding video described as a “highlight video”. That’s because what we do is film throughout the whole day and then carefully go through hours and hours of footage to piece together the very best, very happiest, very most moving moments. The result is a short film, usually only about 5 minutes long (AMP Editor’s note: ours are 5-7 minutes long), that’s jammed full of all the best moments of the day. Videos are certainly on the rise, but still, not everyone gets one. They’re a great way to share your story in a unique way that people will be really excited to see. And that’s all we’re going to say about that. Thanks again to the folks at Arrow Films for posting this.